Guwahati, November 9: Mumbai City FC are on a roll and it comes as a pleasant surprise to most followers in the Hero Indian Super League (ISL). After the 0-5 demolition at the hands of FC Goa, Mumbai City have now bounced back in style, registering their third consecutive victory. This one was a narrow 1-0 against the unbeaten NorthEast United FC and that too at their home ground, the Indira Gandhi Athletic stadium in Guwahati on Friday. Arnold Issoko’s fourth-minute goal was the difference between the two sides as the Islanders climbed to third on the table with 13 points from seven games, the same as FC Goa and Bengaluru FC who sit above them. NorthEast United are stuck with 11 points but have a game in hand. 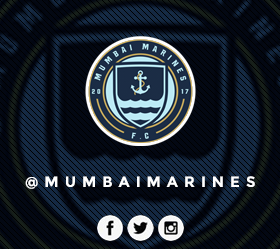 Mumbai surged ahead with their first attack. NorthEast didn’t clear their lines from a Paulo Machado corner and the ball once again fell for the Portuguese midfielder. His first time shot struck Arnold Issoko’s chest and crossed the line despite goalkeeper Pawan Kumar’s best efforts. The hosts responded to the setback by fashioning several chances. Bartholomew Ogbeche saw a header miss the far post after he got on the end of a cross from Redeem Tlang from the right before Federico Gallego had a chance to pull one back as they won a free-kick on the edge of the box. However, the Uruguayan’s free-kick sailed over the bar with Amrinder Singh hardly troubled. Mumbai had a scare when Lalthathanga Khawlring’s corner caught Amrinder by surprise and the ball clipped the crossbar on its way out. Sougou missed another chance just after the hour mark. Lucian Goian’s long punt found Issoko who did well to get beyond his marker and release Sougou down the left who blasted his shot over.